Jennifer Angel Jennifer has 20 years of experience in the real estate industry, in both the private and public sectors. For the past three years, she has led a talented, determined, and passionate team to create waterfronts that attract and inspire people and investment. Before that, she led property management and operations, risk management, and business development, including events, commercial tenancies, and marina development at Waterfront Development. Together with her colleagues and many great partners, she has helped shape Nova Scotia’s most visited destinations by land and sea. Waterfront Development has now become Develop Nova Scotia with an expanded mandate to create great places across Nova Scotia. As President & CEO, Jennifer leads the team in the sustainable development of high potential property and infrastructure to drive inclusive economic growth in the province. She holds a Master of Business Administration (Marketing) from Saint Mary’s University and a Bachelor of Arts (Philosophy) from Dalhousie University. She has completed additional studies at the University of King’s College and the Real Estate Institute of Canada. 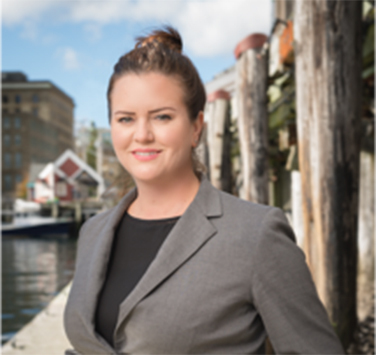 She is a member of the International Women’s Forum, Vice Chair of Discover Halifax, Director of Taste of Nova Scotia, Chair of the Lunenburg Steering Committee, and Past Chair of the Downtown Halifax Business Commission. In her free time, she can be found in or on or by the sea.